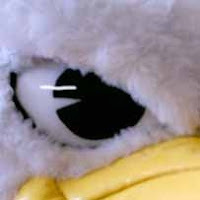 Video – Griffin Mascot Waits for the Hockey Season to Begin! …okay, we love the Griff—the mascot for the Grand Rapids Griffins Hockey. Isn’t he the handsomest Griffin on skates? This entry was posted in custom mascot costume and tagged Grand Rapids Griffins Hockey, Griff, Hockey, Hockey mascot, hockey video, mascot maker. Bookmark the permalink.